The leader of the Change and Reform parliamentary bloc MP Michel Aoun could be elected as Lebanon’s next president by the parliament on Monday. 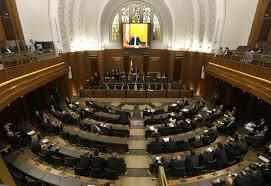 The Change and Reform bloc is hoping that Aoun will be the first “Made in Lebanon” president elected based on a “national consensus” as most parties have confirmed ending their boycott of parliamentary sessions to facilitate the process. Written by: Jaber Ali on October 26, 2016. Posted by Jaber Ali on Oct 26 2016. Filed under Headlines, World News. You can follow any responses to this entry through the RSS 2.0. Both comments and pings are currently closed.